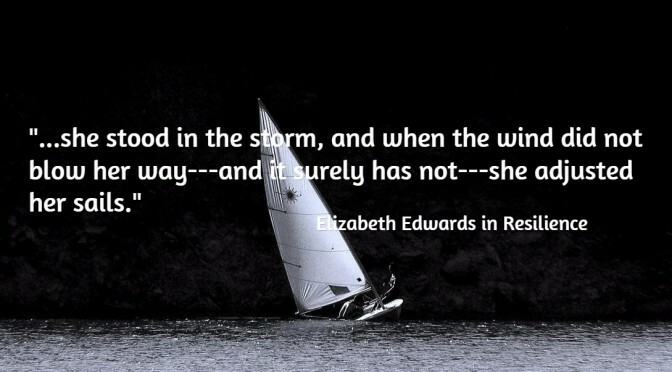 Elizabeth Edwards died about five years ago of breast cancer. She had announced the diagnosis in 2004 after the election in which her husband, John Edwards, lost his bid to become Vice President of the United States. Eight years earlier, in 1996, the Edwards had lost their 16-year-old son, Wade, when the car he was driving was pushed off the road by the wind and he lost control of it. At the end of 2006. Elizabeth learned of what she called John’s “indiscretion” with another woman, and at the beginning of 2010 the two separated after John publicly admitting fathering a child with another woman. Elizabeth’s first book, Saving Graces: Finding Solace and Strength from Friends and Strangers, which I have not yet read, was published in September, 2006. 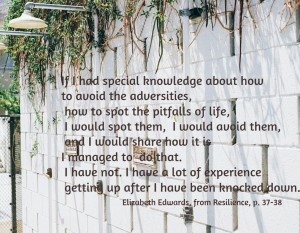 Resilience: Reflections on the Burdens and Gifts of Facing Life’s Adversities, followed in May, 2009, a year and a half before her death. 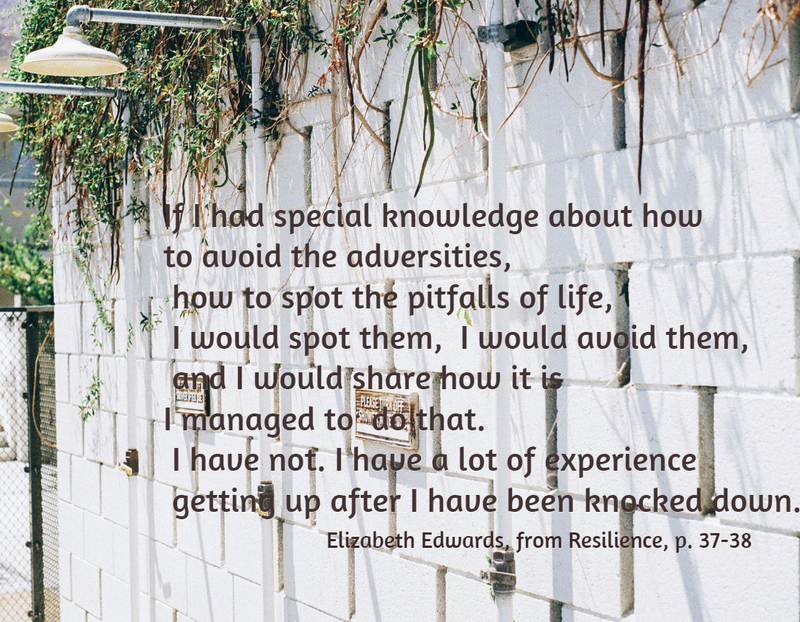 In this book, Elizabeth Edwards shares her journey of bereavement, fighting her cancer, and dealing with her husband’s betrayal. She also reveals how hard it was to have planned one kind of life and to face the fact that the life she had planned was going to be much different than she had been prepared for. Mary Elizabeth Anania Edwards grew up in a military family. Her father was a Navy pilot, and she spent part of her childhood in Japan. That was when she first learned a bit about resilience from her tutor, Toshiko. Toshiko had been a beautiful woman. She had trained for a decade in one of the top courses in Japan to become a geisha , and her future had looked very bright. When she finished her course, she went home to visit her parents in Hiroshima in August, 1945. Unfortunately for her, that was when the United States dropped the first atomic bomb on that city. Toshiko was knocked to the ground and badly injured. Her skin was charred and her hair was burned. After months of treatment, she was able to resume what for some might have been a normal life, but it was not the life she had trained and planned for, since she had lost her beauty — an essential for her planned career. Elizabeth shares Toshiko’s story and what she learned from her. A large part of the book deals with Elizabeth’s internal processing of Wade’s death and her own grief work. I lost my Jason when he was fourteen, two years younger than Wade, also in an accident. I can identify with much that Elizabeth shares here. I believe most bereaved moms will recognize her feelings as some part of their own. She got more support than many of us had, since she was a public figure who got thousands of letters from the public. She also got support from internet support groups, which did not exist yet when I lost Jason. My support came from my family, church and other home school families. Bereaved mothers will find much here that may help them keep going as Elizabeth shares her own experience of trying to put the pieces of her life back together. She shares her struggle to understand why her son, who was a good person, who did nothing to contribute to his accident happening, who had a bright future ahead, would die when he did. Why did God allow it? Knowing what I do about grief, I personally believe that losing Wade may be a contributing factor in the other trials that follow. A major emotional stress, and the death of a child is one of the greatest a parent can face, can make the body more susceptible to disease. Although no scientific research proves a link between stress and breast cancer, Elizabeth mentions a common result of bereavement — not eating normally and not being able to sleep. A poor diet and sleep deprivation can lower resistance to disease. This same study indicates that divorce rates among bereaved parents are eight times that of the norm. As far as we know, John’s infidelity did not begin until after his wife was diagnosed with cancer, eight years after Wade’s death. No one really ever gets over the death of a child — the thoughts of it just become less frequent over time. Perhaps the double blow of losing his son and the possibility of losing his wife, added to the side-effects of her treatments and the frequent separations when he had to travel, were all contributing factors to the infidelity. Be that as it may, whatever the causes, Elizabeth has to deal with it all. She shares from her heart how each challenge impacted her, what she felt, and what she did. She relates the help she got from others and how what she’d learned from her family had helped her face her own situations. She shares her doubts and her attempts to understand her faith in light of Wade’s death. 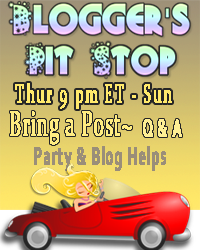 Since the Plan A she had for her life had been blown apart, she tries to construct a Plan B. In conclusion, Elizabeth makes it clear that each of us must find our own path through pain and grief. We won’t all be on the same grief timetable. We aren’t competing with each other in the immensity of our grief nor in how well we handle it or how long it lasts. Most people will not have to deal with all three of Elizabeth’s sorrows at the same time, as she did. We will deal with whatever sorrows and challenges life throws at us. They won’t seem less just because someone else may have had more. This book will not take your own pain away, if you are facing similar circumstances. It will not provide a plan to fix your life. That you will still need to work through yourself. It will give you some company as you work through grief and loss. It will encourage you to know that it is possible to find your own resilience.